Consider this the epigraph for my talk because it encapsulates the monumental shift that I believe we are undergoing. I believe we are moving into a new kind of cultural if not economic reality. We are moving from a world organized around centralized control, strict intellectual property rights and hierarchies of credentialed experts, to a radically different order. The new order is predicated upon open access, decentralized participation, and cheap and easy sharing. To put it starkly, we are living through a shift from a fairly static order focused on stable things to an order that is highly dynamic and inter-subjective -- one that revolves around social relationshipsand context. Vietnamese monk Thich Nhat Hanh makes a deceptively simple observation that applies here: “It takes thirty leaves to make the apple,” he said. We in the West are so accustomed to thinking only about the apple that we tend to overlook the leaves. We focus on the individual and tangible “property.” We have trouble understanding that some of the most important capacities for generating wealth are collective and social in character. Strangely enough, digital technologies are forcing us to recognize the power of the collective and social. The results are terribly unsettling to established institutions and people in power. Just look at the turmoil in the film industry, recorded music, journalism and other major industries. Venerable market franchises are now under siege and serious professionals are being challenged by a vast army of talented amateurs. There are many ways to interpret what’s going on, but this evening, I want to offer a critique that helps explain why the disruption and tumult that we are experiencing is, ultimately, a hopeful development – and how we might fortify the more socially beneficial aspects of current trends. For me, a lot comes into focus if we look through the prism of the commons. I believe the commons is an increasingly powerful new sector of value-creation that we are just beginning to understand. Online communities are proving to be incredibly generative. They have given us the remarkable rise of GNU Linux and thousands of other open source projects. It has made Wikipedia possible – a wondrous cultural phenomenon that now has more than 2.3 million articles in English and versions in more than 200 languages. We are seeing the free advertising service, Craigslist, compete with the classified advertising of daily newspapers in dozens of cities. We are seeing a renaissance of amateur photography blossom on Flickr, now the host of more than 100 million photos. The Internet Archives and the Prelinger Archives are saving priceless swaths of our history. Many academic disciplines are bypassing commercial journals and moving to open-access publishing formats; there are now more than 3,200 open-access scholarly journals. The open education resources movement is burgeoning with such projects as the OpenCourseWare model pioneered by MIT (now emulated at dozens of universities); open curriculum projects hosted by Rice University’s Connexions project; the One Laptop Per Child initiative; and open textbooks that make high-quality books available to developing nations in the South. The Science Commons has launched a number of very exciting projects to make scientific databases interoperable, and to invent new research commons for neuroscience, anthropology, marine biology and other fields. Open business models that draw upon the collective intelligence of users on open networks are demonstrating more powerful, resilient and profitable business strategies. There are literally thousands of other projects out there, most of them little known, that are delivering significant value for the commoners. Now, the economics behind these ventures are terribly important and need to be more fully explored. But we need to recognize that the standard economic models themselves need to evolve. The key challenge is not how to devise better business models per se. Our challenge is to recognize socially created valueas a powerful force in its own right – and then find the best ways to protect and sustain that value over the long term. This challenge may involve partnerships with government and dealings with the marketplace. But let us start by recognizing and honoring the sovereignty of the commons, as a separate category of value-creation, and work from there. Otherwise, we will squander a rich opportunity. Many people assume, for example, that the best course of action is to monetize the socially created value of the commons. This is the norm in Silicon Valley. But in many instances, monetizing an online community can destroy it. It converts the free citizens of the commons into mere consumers – isolated, passive, disengaged. This changes the very identity of an online community. It turns it into a market. Monetizing the commons can eat away at the social trust and open sharing that is the engine of value-creation. It can open the door to free riders whose main interest is appropriating socially created value for themselves. Richard Stallman invented the General Public License for free software to deal with this very issue, and it is a key reason why GNU Linux exists today. The Creative Commons licenses, in their own way, attempt to prevent enclosures of the commons – the classic process by which shared wealth is turned into a privately controlled market asset. So my first point is the importance of recognizing the commons as a distinct sector for creating value. This can be difficult – because we don’t have an agreed-upon language or taxonomy for talking about the value-proposition of the commons. The phenomenon is still too novel. For many people, it is difficult to accept that value can exist without the sanction of money or private property rights – that value that is intangible and unquantifiable can actually matter. Cold, hard cash is nearly always seen as more valuable than something as amorphous and non-physical as an online community. How did socially created value come to be seen as valuable – something that could produce worthwhile code, information, music and video? It’s all about open networks, of course. The Internet is the über-commons – the grand infrastructure that has enabled an unprecedented new era of sharing and collective action. It has facilitated the rise of countless self-organized communities. Thanks to the fantastic drop in costs of computing power, memory storage and telecommunications – and the open protocols of the Internet, which allow these capacities to be shared – digital information that once was locked up in ice can now flow like water. It can more easily flow to where it is most needed – where others can improve and add to it, interact with it and improve it, in the manner of open source software. People can interact on accessible global platforms at a nearly zero incremental cost. This is profoundly transforming the central nervous system of modern life. Recall, ten or fifteen years ago, we used to regard the public domain as a wasteland. When you talked about the public domain, this is the image that used to come to mind – a dusty attic. A neglected place where you dumped old government documents, antiquated curiosities that no one wants to buy any more, and plain old junk. If the public domain were valuable, went the thinking, why….someone would make some money out of it! But since no one was getting rich off the public domain, it was reasonable to conclude that it was worthless. Open networks have changed this. They have made the public domain highly generative. In fact, the realm formerly known as the public domain is overflowing with new creativity and content. This is primarily because “the people formerly known as the audience,” as media scholar Jay Rosen puts it, are empowered to be active participants in their own culture. It is supremely easy for dispersed, unorganized people to come together to share, to cooperate and to collectively initiative new projects. The result? The public domain, once regarded as a wasteland, has become a fertile paradise…. a commons. 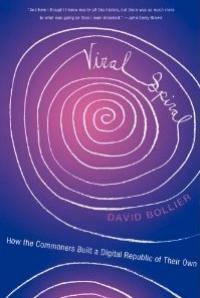 There is no “tragedy of the commons” in online commons. That’s because the software code or Web information is not – as economists put it -- depletable or rivalrous. They can’t be used up – and the more that people that use an online resource on an open network, the more value created. Open networks enable talented amateurs, hackers, misfits and other irregular players to pioneer innovations that mature markets reject as too risky or unpromising. If you look at some of the biggest innovations out there – Linux, Wikipedia, Facebook, major political websites – they weren’t necessarily the work of a major corporation, but of zealous, talented individuals or a sub-culture working on the margins. That’s why major corporations continue to look to hackers, oddballs and entrepreneurs to learn about the future. The social sharing that occurs through the commons frequently out-performs the market in terms of speed, efficiency and creativity. The commons tends to be flexible and customizable, especially to meet local needs. It also tends to be more culturally authentic than large, mass-market players like broadcast networks and Hollywood film studios. So now the large institutions of government and business are scrambling to capture the value that comes through “decentralized co-creation.” Large multinationals and even the commercial software industry have embraced free and open source software. The U.S. Central Intelligence Agency has started its own Wikipedia-inspired “Intellipedia” to consolidate information from a dozen intelligence-gathering agencies. Major advertisers now invite Internet users to create ads for them. Large pharmaceutical companies are using networked collaboration to develop new drugs. The BBC and Reuters now solicit news from their readers. In Korea, the sixth most popular news outlet is Ohmynews, which uses 36,000 citizen-journalists to write up to 20 online stories a day. And so on. In his book, The Wealth of Networks, Professor Yochai Benkler has developed some brilliant theoretical insights into why online commons can be so generative. He has explained, for example, that peer production is best achieved if a particular task is modular (meaning a complex project can be broken into discrete parts), “granular” (meaning it doesn’t take much investment for an individual to participate), and does not cost a lot to integrate the results. Clay Shirky, in his just-released book, Here Comes Everyone: The Power of Organizing Without Organizations, describes how open networks reverse the usual sequence of “filter, then publish,” by making it easy to “publish, then filter.” This means a high failure rate and a lot of junk gets published – but it also means that the successes have significant social support. I call these epochal changes in economic and cultural production The Great Value Shift. In the networked environment that is becoming pervasive, we are being forced to recognize that the market – or at least, traditional hierarchical institutions such as the corporation – does not have a monopoly on the ability to generate value. It has a new competitor, the commons. We don’t fully understand the principles that make some online commons generative and others not. And to be honest, we are sometimes too infatuated with the almost magical powers of Web 2.0 platforms. Online voting or ratings, for example, do not necessarily yield collective intelligence. When a minor league baseball team in the United States invited its fans to manage the team through online voting, it was disastrous. The decisions of supposedly “smart mobs” can result in collective stupidity. Certain functions require sophisticated expertise, courageous leadership or executive decisionmaking. One set of mental shackles that we must escape is the orthodox economic narrative about wealth-creation. This framework regards the market as the only serious vehicle for generating wealth. Wealth is supposedly created by rational, utility-maximizing individuals, who are seen as the prime movers of economic progress. By contrast, it is evident that a great many Web 2.0 platforms have created enormous value by coordinating all sorts of decentralized talent that can only thrive in communities of social trust – places where you can contribute to something larger than yourself, build a reputation, and make an impact. The renegade economist Karl Polanyi once wrote about the “Great Transformation” – the point in economic history, in the 19th Century, when market activity began to take on a life of its own, and acquire such dominant power, that it began to supplant social traditions, community, religion and morality. What we are seeing today, as more of commerce and culture migrate online, is a re-humanizing of economic theory. The Great Transformation is being reversed. We see a new recognition that social values and practices can be highly influential forces in value-creation. Standard market economics, with its focus on quantification, cannot adequately explain why people contribute prodigiously to free software, Wikipedia, Facebook and YouTube and countless other online sites. When the Brazilian government brought computers and Internet connections to rural villages that had never seen them, the first impulse of villagers was not to make illicit downloads. Their first impulse was to upload their own music and art – to share. To me, this suggests the need for more robust types of economic models –- ones that rely upon behaviorial economics complexity theory and social psychology. The price system of the market is often too crude an instrument for communicating what has value and what truly mobilizes human talent. 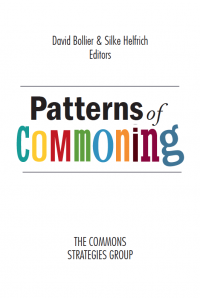 The commons is a conceptual space in which to begin a new discussion, a place to develop a new vector of analysis. One of the key themes of this conference is how to develop sustainable strategies to support the emerging bodies of public knowledge. I believe our first responsibility is to recognize the commons sector as a new and significant sector of value-creation in its own right. It is a different sector than the market or government. If you can acknowledge this fact, then it follows that we should take affirmative steps to preserve the commons and the special types of value that it produces. Let me conclude by suggesting four general strategies. 1. Protect the integrity of the commons. A first principle is that the value created by the commons shall remain within the commons. Or at least, it should not be monetized or appropriated without the consent of the commoners. 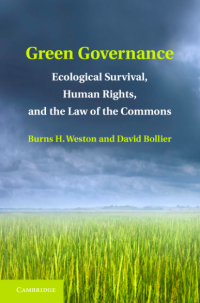 It has been shown that the commons can be protected through various legal innovations, technological strategies, and social norms. The GPL, the Creative Commons licenses and the fair use doctrine in copyright law are all legal tools (of varying effectiveness) that help assure that creative contributions to the commons will stay there and be re-usable by others in the future. Technological design can also help assure open access and use. The original TCP/IP protocols for the Internet are an example, as are open technical standards like Open Document Format and open APIs. Finally, social norms and sanctions are immensely powerful tools for protecting the commons. People respect the rules of a community in part because they have a role in making the rules. 2. Devise new models for understanding value. As I suggested earlier, the standard economic narrative is too autistic, too socially oblivious, to explain how value is created in the networked environment. If we are going to get beyond the crude calculus that money = value, we need to develop a richer set of criteria for evaluating how social communities create value. Perhaps there’s a new formula to be devised that considers the number of participants, the degree of engagement they have with their peers, and the pace of their interactivity. But we need to remember that socially created value is not just about productivity and economic output. It is about people hanging out together, enjoying themselves and being generous towards each other. It’s about “human co-presence.” From this perspective, it is something of a metaphysical question to ask how an online commons create value. What is “value,” anyway? That’s a profound question. The paradox of a community as the locus of value-creation is that, while it can be highly effective in performing certain tasks, individual performance can be difficult to isolate and measure. Tangible results can also be difficult to measure. The real value of the commons stems from the web of relationships and the unpredictable synergies that result. In a loosely controlled context, it is hard to trace cause-and-effect. Yet that loosely controlled context is precisely what enables certain types of value to surface—such as individual self-selection for tasks, passionate engagement, serendipitous discovery, experimental creativity and peer-based recognition of achievement. From a traditional business perspective, the commons may seem “inefficient.” But its real power stems from being able to amass dispersed and specialized consumer preferences, and then to use this knowledge as the basis for innovation in new business models. In today’s networked environment, that is a major competitive advantage. Which leads me to my next suggested strategy for protecting the commons…. 3. Invent new hybrids that combine the market economy with the commons. The commons and the market need not be adversaries. Nor are they entirely separate spheres. Indeed, I see them as interdependent and synergistic. The problem is that many market players have too much power and are therefore able to colonize the commons, destroying its special value-creating capacities. If we were to reverse the many enclosures of the commons – so that corporations could not violate the integrity of online communities but could nonetheless build value-added business models “around” them – then we would see a more consumer-responsive and competitive marketplace. Companies that are so immersed in the collective intelligence of their customers – in an ongoing, evolving way – will be fierce innovators and competitors. The challenge in building hybrid business/commons models is that our market relationships tend to be impersonal, short-term and transactional – while our relationships in a commons constitute a gift economy. In a commons, people freely cooperate and share without keeping strict score of who owes what. To seek a private gain at the expense of the community, or to keep rigorous accounts of credits and debts, destroys the generosity of spirit that animates most commons. A related tension involves control and trust. Conventional companies like to exercise extreme control over employees and customers, in part because investors want reliable, predictable results. 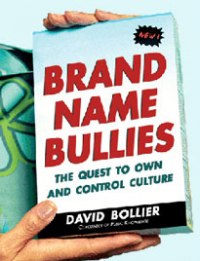 The paradox is that attempts to assert extreme control on open networks undermines trust. If a business wants to reap advantages from open platforms and the commons, they need to understand that it is better to cultivate trust than to try to dictate behavior. Notwithstanding these tensions, there are some intriguing commons-based business models out there. MIT professor Eric von Hippel documents many of them in his book Democratizing Innovation. He explains how the most passionate users of sports equipment – in extreme skiing, extreme bicycling, hang-gliding, and more – often generate the most exciting new ideas in sports equipment. Companies that have trusting, engaged relationships with their biggest users enjoy honest, real-time feedback, and thus have the capacity to innovate more rapidly. There are many companies that are inventing new business models based on open networks or defined communities of interest. I don’t have time to name or discuss many, but let me just mention Magnatune, an online music label that lets its customers choose how much to pay for an album, starting at $5, with all revenues split 50-50 with the artists. There is Jamendo, a Luxembourg company that allows anyone to download and share their music for free. There is Trama Virtual, a popular platform in Brazil for new music that makes money by licensing its trademark to corporate marketers. 4. Government should actively support the commons, just as it supports the market. Government does all sorts of things to help marketsfunction well. It builds infrastructure, pays for courts, provides legal protections for companies, promotes trade, and gives out subsidies, among other benefits. Why shouldn’t government provide similar support to help the commonswork well? If the commons can produce value efficiently, in a socially benign manner, and with benefits to future generations of creators, it deserves as much government support as markets. Most ideological debates tend to focus on the relative merits of the state versus markets. I consider that a false choice. 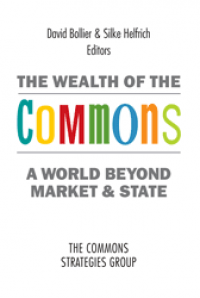 The commons is a kind of intermediate form of governance and collective provisioning that has its own advantages over large government bureaucracies and impersonal, sometimes-predatory markets. 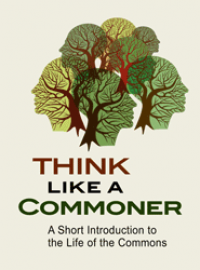 The commons is a voluntary, self-organized social economy that provides important services and goods. It builds social capital. It promotes civic participation. And it often commands greater personal loyalty and moral legitimacy than either governments or markets. I say it’s time to explore how government can play a more active role in nurturing the commons sector and the type of value that it creates. At the same time, government must maintain sufficient distance from the commons sector so that it does not dominate and control it – and thereby destroy the special value that the commons produces.